The Coffee Jug Stove was designed following the KISS principle for an easy to make one piece stove to fit a heine pot and boil water. Make it easy to build for DIY non-stovies with no special tools or techniques. These goals were inspired by the simplicity of the supercat and to address what I saw as its biggest failing of not being ideal for a heine pot. 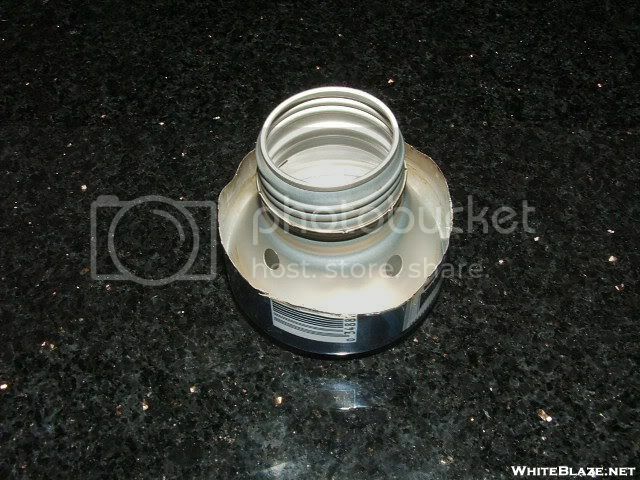 I also got inspiration for the integrated pot stand and no priming accessories from the GrinchMT stove, but wanted a stove that was easier to make, short enough to nest in my Skids Kitchen with my fuel bottle and have reduced chance of pressure flare up. I think this design surpasses those stoves for the criteria I set. I feel I met or exceeded all of my goals, and am very happy with the results, if not my craftsmanship. Can be made with a hole punch and kindergarten scissors, or a swiss army knife on the trail. Nice flame pattern, Now with LAMINAR FLOW! 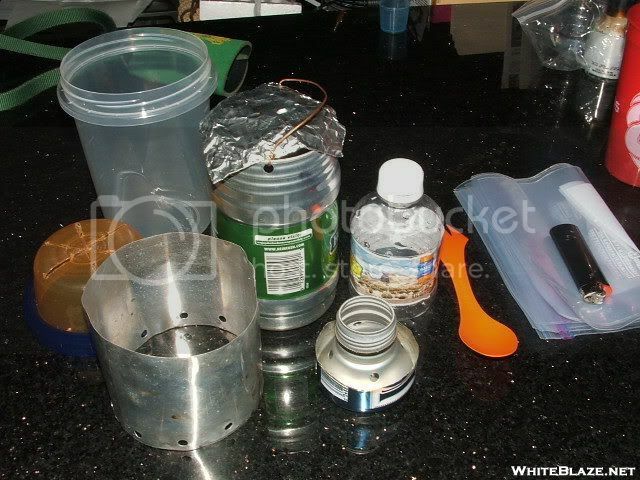 Nests in the Skids Ziplock kitchen with windscreen, pot, lid, an 8oz bottle of fuel, a lighter, a spork, and some freezer bags. Add fuel, light. Wait 20 seconds, cook. Tools required: Coffee Jug can, marker, scissors, hole punch. Find a coffee jug can, used by Caribou Coffee, distributed by Coke. Mark two lines on the can, one 1.25 inches from the bottom of the can, one just below the shoulder of the neck where it meets the sidewall. Cut the can to these lines. On your newly liberated neck, use a hole punch to make 4 1/4 inch holes as far up on the neck as the hole punch will reach, about 3/4 inches up from the sidewall shoulder. Press fit the neck into the base. If it's too difficult to fit in, cut off a little more of the sidewall below the shoulder until it just fits tightly in the bottom. 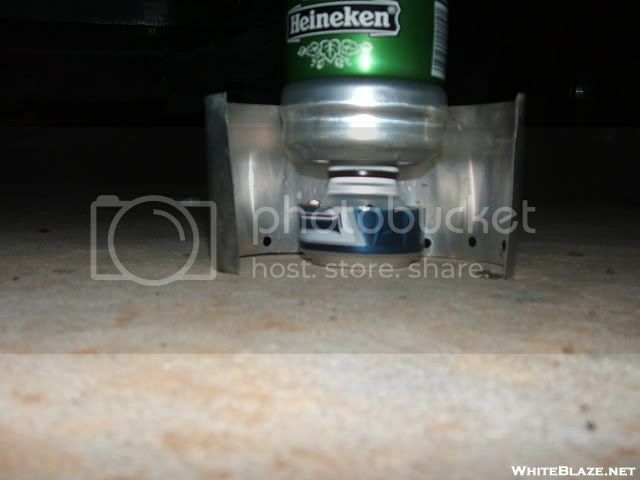 Alternately, you could stretch the bottom of the can a little by forcing an UNOPENED can of beverage in the bottom. Make sure if you do this to put a bit of water in the bottom before you push it in. 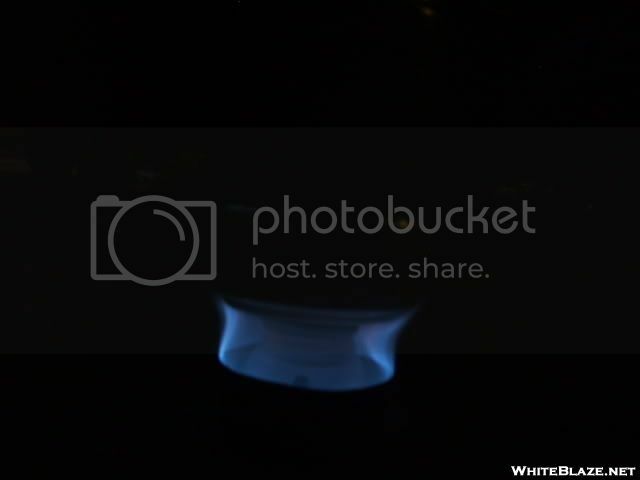 If it gets stuck, you can hold it over a flame until the water turns to steam and pressure pops the bottom off. I hope you all enjoy my Coffee Jug Stove design and submission for Stove of the Month! It's not very professional looking, but its beauty is in its simplicity, much like its inspirations the supercat and the grinch stove. Cool design, wish I had time to make one. Good luck on your first entry. I took it out on the trail for a weekend trip a couple of weekends ago. Real world performance was great, we enjoyed two dinners and breakfasts cooked along the banks of the Chattooga river. As it was just a weekend trip, I wasn't too worried about fuel efficiency, just boil times. I know there's been talk of using a monster energy drink resealable bottle around here, but I can't find anything using search. Any resources you could point me to would be great. Field trials are important, glad it went well. DarenN made a stove using an energy drink bottle and also Skidsteer.